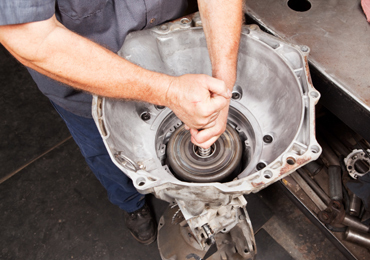 Transmission maintenance leads to a longer vehicle life. Typically trouble with the transmission starts from overheating. Stop-and-go traffic, heavy pulling, struggling in the snow, hot weather, and racing can cause your transmission to overheat. At higher temperatures the transmission fluid burns. Your vehicle loses lubrication and deposits inside the transmission increase. Sunshine Service Brake & Alignment recommends that you take your vehicle to a service technician as soon as you believe your vehicle is having transmission problems. When getting your vehicle serviced, explain any problems in as much detail as possible to our mechanics. This will help us diagnose and prevent transmission issues efficiently and accurately. Sunshine Service Brake & Alignment will get your transmission repaired right.